Fans of the Command & Conquer RTS games can play the classic title that started it all for free on the web. Learn where to download the original Command & Conquer. The original 1995 version of Command & Conquer can still be found on some third-party websites, but playing it will require the use of a DOS emulator such as DOSBox. 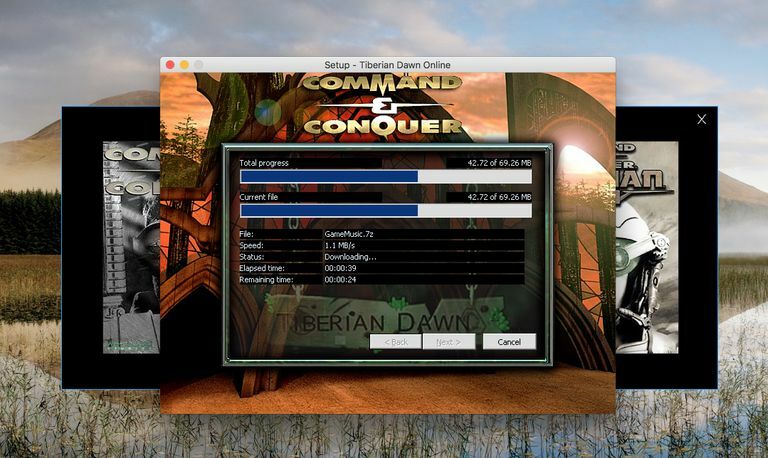 The edition that was released in 2007 by Electronic Arts is no longer hosted or available on EA's website; however, CnCNet.org offers the latest and greatest free version of Command & Conquer for Windows XP, Windows 7, Windows 8, Windows 10, Mac OS X, and Linux. This free version of Command & Conquer includes both single player campaigns and a multiplayer game mode. It also features improvements to the game's code to support high-resolution graphics, improved speed, chat, and a map editor. At CnCNet.org, you can download a free version of Command & Conquer for your specific operating system. At BestOldGames, you can download a ROM of C&C Gold Version for DOS. What is Command & Conquer? Command & Conquer is a real-time strategy game released in 1995. The story is set in an alternate timeline where two global powers are at war over the control of a mysterious element called Tiberium. Command & Conquer was developed by Westwood Studios, the same development company that created one of the early real-time strategy games, Dune II. While Dune II helped define the RTS genre, Command & Conquer perfected it by introducing a number of new features that have helped popularize the formula. Command & Conquer features two single-player storylines each following one of the game's two main factions: the Global Defense Initiative (GDI) and the Brotherhood of Nod. Players go about gathering the game's primary resource, Tiberium, to construct buildings, research new technology, and create military units. The two campaigns are broken down into various missions, each of which is introduced by live action cutscenes. The primary objective of most missions is to defeat the enemy or take control of enemy buildings. In addition to the single-player campaigns, Command & Conquer also features an online multiplayer component. Originally released for MS-DOS, the game has since been ported to Windows, macOS, Sega Saturn, PlayStation, and Nintendo 64. Over the years, The Command & Conquer series has seen more than 20 different games and expansion packs with the latest being released in 2012 titled Command & Conquer: Tiberium Alliances. The series is considered one of the groundbreaking video game franchises that helped popularize the real-time strategy genre. The original Command & Conquer was well received both critically and commercially. Westwood Studios was acquired by Electronic Arts in 1998, which continued to develop new C&C games until the company eventually merged into EA Los Angeles. In 2007, the original Command & Conquer was released as freeware to celebrate the 12th anniversary of its release as well as a promotional campaign in anticipation of the release of Command & Conquer 3: Tiberium Wars.